Want to see the city like someone who lives here? Join the International Greeter Day celebration, running from 9 a.m.-3 p.m. in Millennium Park. The Chicago Greeter Program is always a free resource for guests who want to schedule walks around Chicago neighborhoods with a local, but on Saturday, all walk-ups are welcome to explore a range of locations, including the Loop, Chinatown, Uptown, Wicker Park and more. Transportation from Millennium Park is free, too. Now in its 18th year, the Chicago World Music Festival is the longest-running of its kind. More than 60 artists from 25 countries will perform free shows across the city, and it’s a prime opportunity to hear genres ranging from Indian classical music to Bulgarian bagpipes. 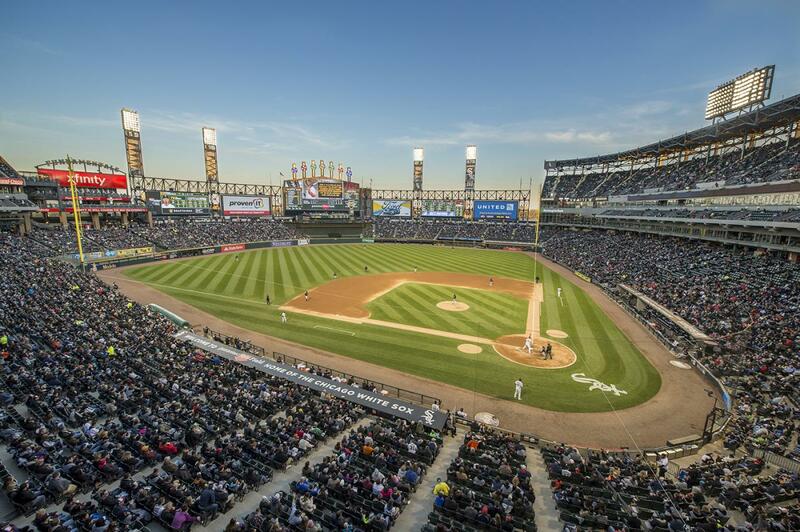 The baseball season might be waning down, but Chicago’s thirst for craft beer isn’t. Cheers for the Chicago White Sox as they take on the San Francisco Giants and join in on this Lower Box beer tasting. Included in this specialty ticket, you’ll get to try 18 samples from more than 30 participating breweries before the game, then hang out and watch the Sox. Raise your skeins--it’s time for Oktoberfest celebrations all around the Midwest. During the family-friendly festival, take on the German food, beer, music and games right here in Chicago. Did you know we have a whole slew of Oktoberfest celebrations on the calendar this September? Check out the full list of 2017 beer fests in Chicago and get ready for a busy fall! Head up to Roscoe Village for the neighborhood’s first Bourbon and Barbeque Festival. If kicking back with a rack of ribs and smoky Southern bourbon sounds like your kind of weekend, you&apos;ll want to check out the inaugural event. Aside from the food and drinks, two stages will feature country hits and tribute bands, and it&apos;s a great reason to walk around the shops in the neighborhood. No matter how many seasons pass, dinosaurs never seem to go out of style. At the Brookfield Zoo, catch the final weeks of the Dinos and Dragons exhibit run, which gives visitors a close-up experience with 17 animatronic dinosaurs (including a Stegosaurus, Tyrannosaurus rex and a Chinese dragon) and follows through with reptile encounters, featuring the zoo&apos;s first-ever Komodo dragon. Want to treat your stomach this weekend? We recommend stopping by Sepia to celebrate the Michelin star-rated restaurant&apos;s 10th anniversary; there&apos;s also the Mussel Fest at Chez Moi starting Friday, September 8, and running through September 17, which features all-you-can-eat mussels starting at $25 and donates $1 per pound sold to the Red Cross for hurricane relief efforts. Don&apos;t forget that September kicks off some big celebrations for art and architecture in Chicago. EXPO CHICAGO, an international display of contemporary art collections, stretches across the city starting Wednesday. Between September 13-17, explore 135 galleries representing 25 countries. As EXPO winds down, the Chicago Architecture Biennial kicks off, making a city that&apos;s already renown for its architecture the ultimate design destination this fall.